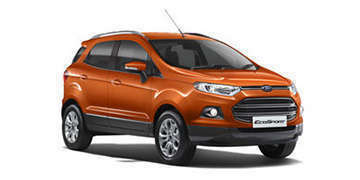 The New Ford EcoSport’s 73.8 kW (100 PS) engine is uniquely powerful yet fuel efficient. It delivers great power without guzzling on the fuel, so you can get out there and explore your world with peace of mind, knowing you’re driving one of the best SUV’s around. India’s most awarded vehicle ever* is also city-smart, technology-packed machine that gets you over obstacles just as easily as it navigates between them.